Earn Greater Longevity with On the Go Fitness Pro! Regular exercise has been proven to increase life expectancy and quality of life, making it an important necessity for anybody. This may be especially true for people who have difficulty completing daily tasks due to older age, inactivity, or a physical condition. If you are one of these people, you want to reclaim your physical wellness and enjoy a healthier life, but find the task of getting in shape overwhelming or hard to fit into your routine. In-home personal training is a convenient and effective solution that can give you the results you need. 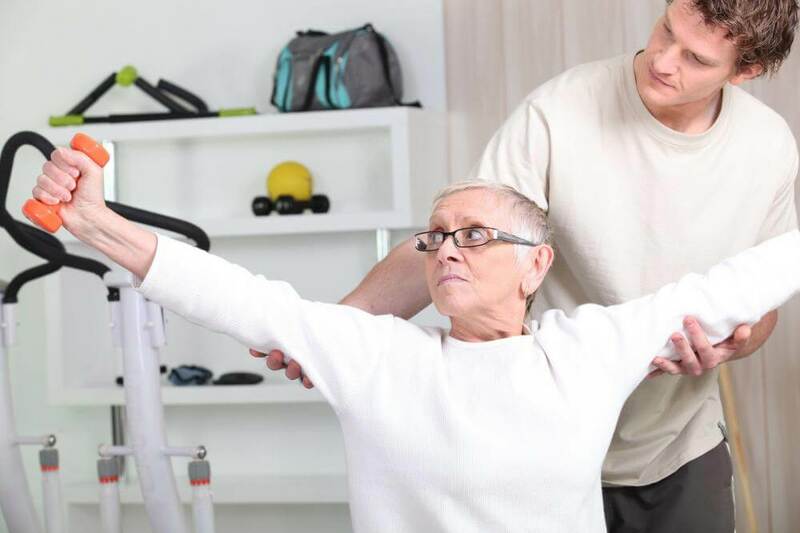 On the Go Fitness Pro, offering in-home personal training services, has designed a Longevity exercise program to help people like you increase longevity and regain physical capabilities. On the Go Fitness Pro’s Longevity path will get you moving and support your physical recovery. Your On the Go Fitness Pro in-home personal trainer will provide a consultation to assess your current physical fitness level, your health and wellness goals, and daily schedule. Our personal trainers use this to create an exercise plan with specific workouts that work toward your goals and fit into your schedule. These workouts will help you get your life back in order and enjoy better range of motion and physical ability. Nobody can get in shape without support. Your trainer will not only instruct you on what exercises to complete, but they will also serve as your personal coach and cheerleader. At On the Go Fitness Pro, your longevity goals are our goals, and your successes are our successes. We are here to ensure you complete your exercises and stick to it. We carefully monitor your progress at every step of the way and make adjustments to your exercises and/or schedule as needed to ensure we always work toward your goals. We believe in providing convenient, affordable longevity exercise for everyone, and our sessions start at just $69! Regaining your ability to live your life without pain or fatigue shouldn’t break the bank. You don’t need to walk this path alone. Having a workout buddy gives you an extra source of support and pushes you to do your best. Working out with you may be all the inspiration they need to get in shape, too! Bring a friend to any of your Longevity sessions at no extra charge. You and your friend can even split the cost of each session if you’d like! If you need an exercise program that will allow you to regain your physical capabilities and enjoy a healthier life, trust On the Go Fitness Pro to deliver the results you need. Our customized and affordable Longevity program is carefully designed with your goals in mind to get you where you want to be. Our highly trained in-home personal trainers work around your schedule and are dedicated to ensuring you stick with your exercise program and see improvements. Are you ready to regain your physical wellness?